The Alliance for the Great Lakes is a not-for-profit, tax-exempt organization. We are incredibly grateful for the generous support of our donors, who provide the resources that make our work to protect the Great Lakes possible. And, we work hard to manage our financial resources responsibly to ensure your donations support our Great Lakes protection programs as directly as possible. We are proud to have been awarded Charity Navigator’s four-star rating — the highest possible — for 8 years in a row. This places the Alliance for the Great Lakes in the top 3% of organizations around the country. Charity Navigator awarded the 4-star rating in recognition of our sound fiscal management and our commitment to accountability and transparency. Our sound strategy and commitment to looking ahead has positioned the Alliance as a solid investment for your charitable gift. Our Great Lakes programs have more than doubled in size in the last five years while maintaining our four-star status with Charity Navigator. In addition, the Alliance has built a base of reserves that assures our ability to weather the unexpected and make smart choices for the future. You can be certain your gift will be put to good use. Learn more about the Alliance by reading our annual reports, reviewing our IRS Form 990 and 501(c)(3) letter, and our most recent financial audit. 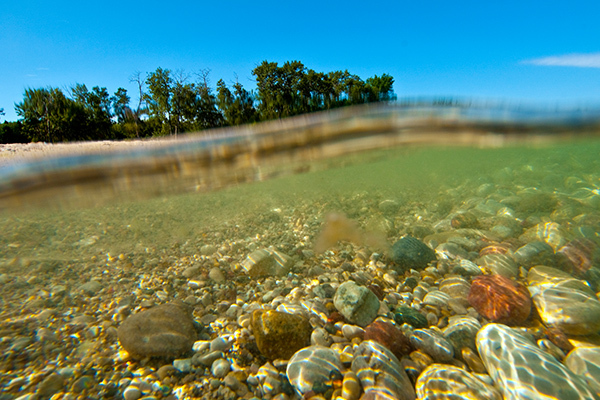 As home to 20 percent of the world's supply of surface freshwater, the Great Lakes benefit all of us in so many ways. Your support will help protect these lakes and preserve their legacy of clean water for generations.